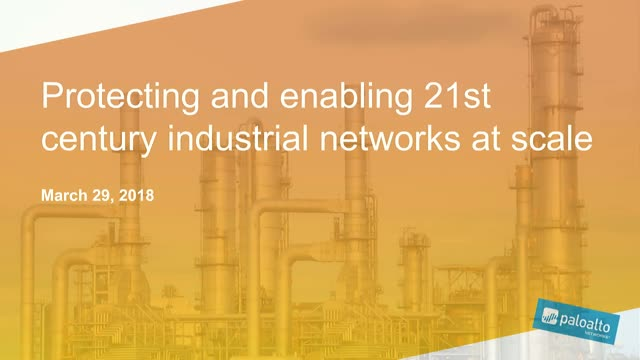 Modernization initiatives such as "Industry 4.0" and "Industrial IoT" are pushing industrial networks to be more connected as well as more complex and challenging to protect. In this session we will demonstrate how you can establish granular visibility and consistent security policy to your SCADA deployment, IIoT and remote sites in even the harsh environments. In other words, we can show you how to protect all of your IT AND OT infrastructure.